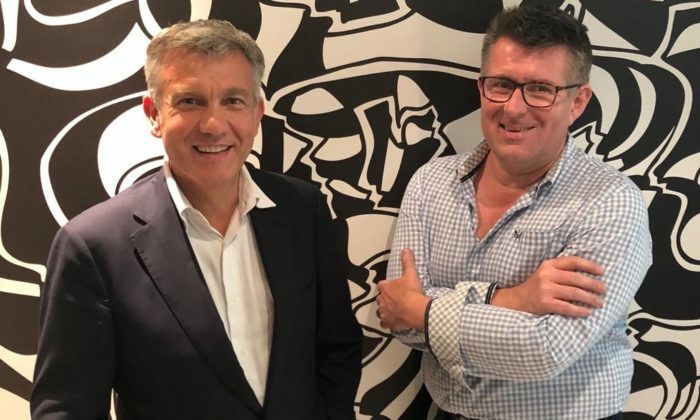 Former CEO of WPP’s Kinetic, David Payne (pictured right) has been appointed as global head of strategy and operations at an independent international out-of-home media company, Mediakeys. Payne will report directly to Paul Cahierre (pictured left), director and founder of Mediakeys. Bringing with him over 20 years of out-of-home media expertise, Payne will be based in London and will be overseeing Mediakeys’ international expansion. This comes after the opening of three new offices namely Kuala Lumpur, Bangkok and Cologne in the past few months. He will also be tasked to structure Mediakeys’ business strategy between the 12 offices in Asia, Europe, and the US, in a bid to reinforce the company’s international capabilities. These offices are based in Singapore, Beijing, Hong Kong, Tokyo, Paris, London, Milan, Zürich, and New York as well as the three newly opened offices. In a statement to Marketing, a spokesperson from Mediakeys said that the independently owned media agency opened its Kuala Lumpur office early May and general manager, and GM Daniel Tan will be leading the team. Tan has been with Mediakeys for over four years and prior to that, he was a business manager at an out-of-home advertising and production company, TPM Outdoor for two years. “I was really impressed by Cahierre’s entrepreneurial vision and by the incredible growth of Mediakeys. I am proud to be a part of the company’s international expansion,” he said. “It is an honour for me to have Payne here at my side to help me structure and develop Mediakeys’ global presence,” Cahierre said. Mediakeys did not wish to comment further on Marketing’s queries on its clients and competitors. Brother runs workshops and Facebook content marketing campaigns to promote loyalty to its sewing machines and expand the do-it-you..